If you want to celebrate Christmas in Tattooed Girl style, you are in luck. If you love your coffee like Lisbeth and Mikael: The Jura Impressa X7 Espresso Machine that Blomkvist finds on its own separate table in Lisbeth’s luxury apartment at Fiskargatan 9 is a real top of the line restaurant style coffee machine for home use. Although Larsson seemed to believe the cost was 70,000 Swedish kroner ($11,000 US) at the time he wrote The Girl Who Played with Fire (which was sometime around 2003-4), the current US online discount price for this magical Swiss machine is about $3,000. Further good news for the Christmas season 2016: that very model has come down in price even more! 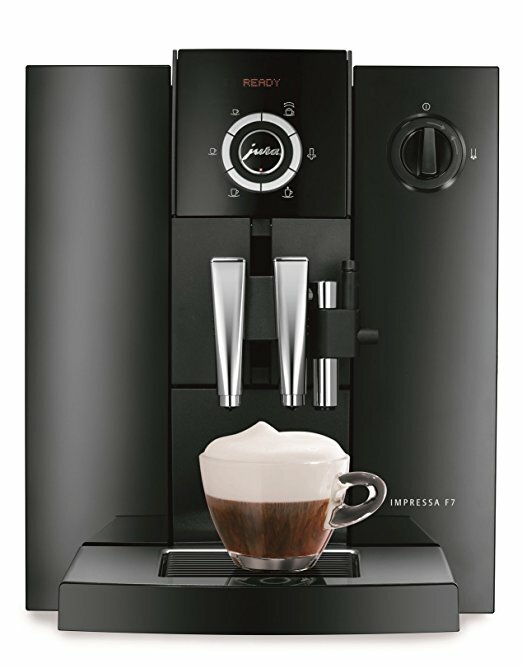 Amazon is now selling a new Jura Impressa 7 for just under $1,500 and a reconditioned one for just under $1,000. This entry was posted in Other, The Tattooed Girl. Bookmark the permalink.